Joseph Thomas Gil, “Big Daddy”, passed away on Friday, August 3, 2018 in the comfort of his home. He was 55 years old. Joe was born on October 15, 1962 in Brooklyn, NY; he was the son of Erma Wilson and the late Louis Gil. Joe is survived by the love of his life, his daughter Alexandra “Turtle” Gil of San Antonio, TX and her partner Andrew Wening; his mother, Erma Wilson; his brothers, Louis Gil and his wife Robin and Thomas Gil; his friend and ex-wife Lisa Padilla-Hansen and her husband Bruce; and his grand dogs Jake and Max. Joe had worked as a cook for NYS OCFS in Red Hook. 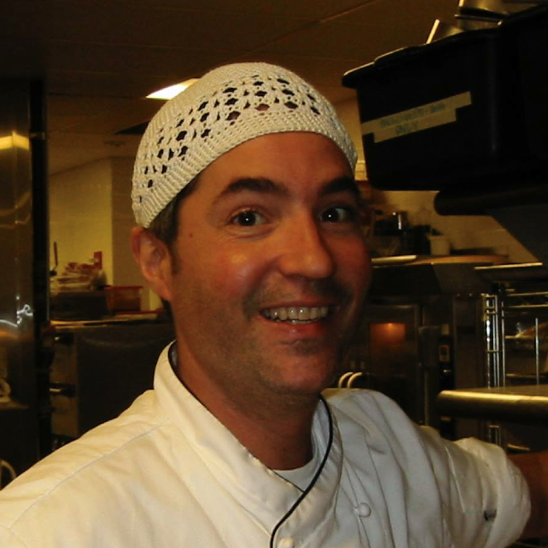 Previously he had also worked as a cook for Benedictine Hospital and Renaissance House, was a Sous Chef at Mohonk Mountain House and the Big City Tavern in Florida, and had owned Tivoli Restaurant in Greenfield Park. Cooking was a passion of Joe’s. He also enjoyed watching old movies, listening to Frank Sinatra and having a cocktail now and again. Joe loved the Padilla family and they loved him; his friends, and there are many, were more like family than just friends. He made people feel good just being around him. His laugh was contagious and his passion for cooking unsurpassed. Joe was a gentleman in every way, the world is a little less kind, a little less cool and a lot more empty without him. He will be deeply missed by all who knew him. Memorial visiting will be held on Wednesday, August 8th from 4-7 PM at the H. B. Humiston Funeral Home, 30 42nd Street, Kerhonkson, NY. Mass of Christian Burial will be celebrated at St. Mary & St. Andrew’s Church in Ellenville on Thursday at 10 AM. Burial will follow at Fantinekill Cemetery, Ellenville. In lieu of flowers contributions may be made in Joe’s memory to the charity of your choice. To send a personal condolence to Joe’s family please visit humistonfuneralhome.com.